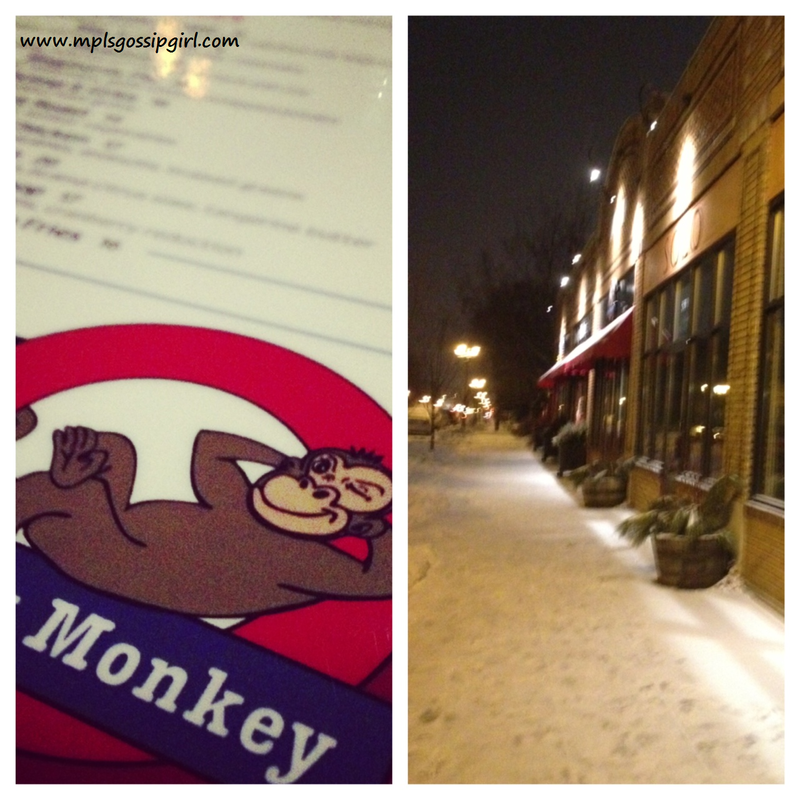 If I didn’t live in Minneapolis the Selby/Dale neighborhood would be high on my list because Cheeky Monkey Deli is located there. 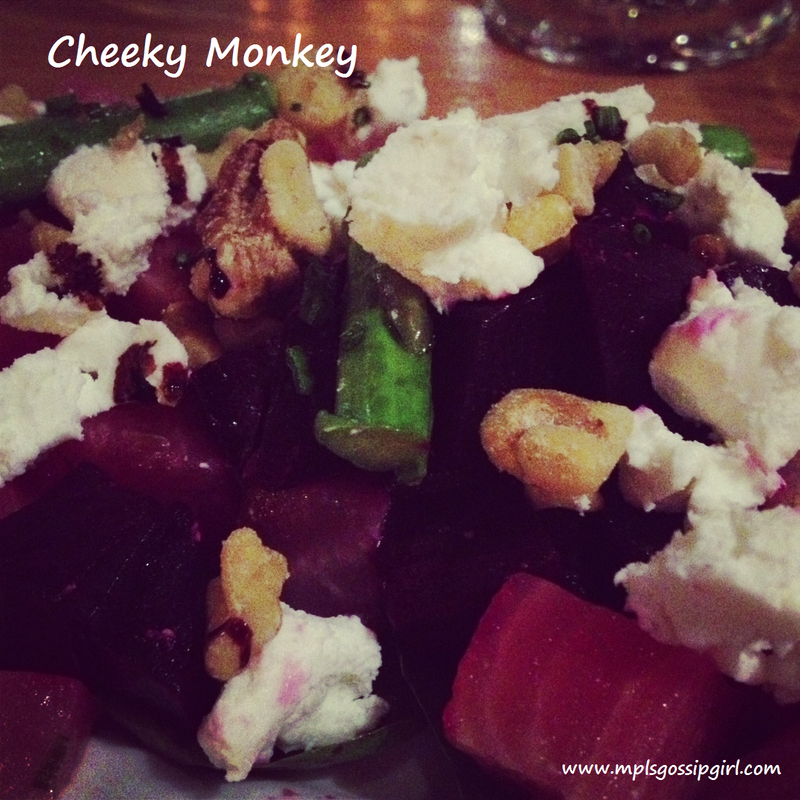 Cheeky is one of my favorite places to get a casual meal. To date I haven’t had anything on their menu that I haven’t liked. This place has a neighborhood feel and is the perfect place to meet an old friend for dinner. I love sitting by the fire-place and keeping warm. During the summer you can even sit outside on their back patio. If you are sitting down for a meal expect it to take a little bit more time. The service is a little slow sometimes and the food takes awhile to prepare. It is fresh and I am okay with waiting a little longer for my meal. Our server Amanda let us know if we needed anything we could flag her down. It is more relaxed than your typical restaurant and has a unique atmosphere. It makes you want to have a long discussion about something deep. For an appetizer order the salt and pepper chips the blue cheese dip is creamy and delicious. For an entrée choose anything from the menu, it is all good. I have had many of the sandwiches and salads. This time I had the beet salad with goat cheese. It was large and I had enough to take for lunch the next day. I also enjoy the fancy grilled cheese and the salmon salad. Don’t miss the sides at the bottom of the menu. The kale and brussel sprouts are cooked correctly and a great way to add another vegetable to your meal. This is a place I enjoy to linger and stay for a while with a glass or a few glasses of wine or beer. Cheeky Monkey is doing a prix fixe valentine’s dinner for $60 a couple which includes three courses and a bottle of wine. That sounds like a sweet deal to me. When you go there make sure that you stop at the wine store next door to the Cheeky Monkey. They have a good selection. They told me they do a wine event for mother’s day which sounds like the perfect event for wine lovers. because it is fun to get cheeky. This brings a smile to my face. I am so lucky to have readers like you who love Minneapolis like I do.